We have several Registered Massage Therapists on staff. Day and evening appointments available Monday through Saturday. Massage therapy gives the body a chance to release stress, pain, emotional fatigue and allows you to progress to higher levels of physical and emotional well-being. Ali has been working as a Registered Massage Therapist in Sudbury since January 2017. 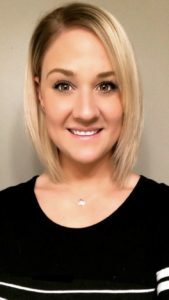 She graduated from the fast track Massage Therapy program at Georgian College where she gained hands-on experience in a variety of settings, including pre-natal care, geriatrics, palliative care, sport massage, and fibromyalgia clinics. Prior to her enrollment at Georgian College, Ali obtained a Bachelor of Arts from Wilfrid Laurier University, where she was a member of the women’s Varsity Soccer team. 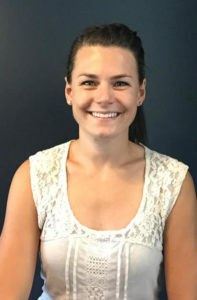 Her interests in sport and rehabilitation led her to work as a Physiotherapist Assistant in an orthopedic private practice setting for nearly 4 years. This work experience was ultimately what guided her toward the Massage Therapy field, and she believes that Massage Therapy can benefit people of all ages. Ali attended continuing education courses in both Sports Massage, and Cupping Therapy in 2017, and has been introducing both into her practice since. Cupping Therapy is an alternative form of traditional Chinese Medicine, and has similar benefits to acupuncture. In this form of Cupping, silicone cups are placed on the muscle tissue, creating a suction or vacuum seal. This negative pressure pulls the tissues up and away from the body, increasing circulation to the area, helping with pain management and reducing resting muscle tension. Ali is a strong believer in preventative care, and wants to help as many people as she can live a pain-free active lifestyle. She is looking forward to meeting you! Sara has been a Registered Massage Therapist in Sudbury for 4 1/2 years. She graduated in 2013 from Sir. Sandford Fleming College in Peterborough Ontario, and is an active member of the College of Massage Therapists of Ontario. Sara offers various types of massage therapy treatments; deep tissue massage, trigger point work, myofascial release, pregnancy care and relaxation massage. Sara was born and raised in Sudbury Ontario. At a young age she was involved in Taekwondo. This assisted in teaching Sara the importance of mobility, flexibility and keeping fit. Sara attended LaSalle Secondary School, where she was very involved in basketball, volleyball, and various community events. All of these life events taught Sara the importance of being able to live a healthy and pain free life. As an RMT, Sara would like to pass that along to you. Sara’s goal is to get you feeling your best and living your life to the fullest. Sara has always lived an active lifestyle being involved in sports, weight training, running, yoga, and various outdoor activities. Having lived an active life and having endured her share of injuries, Sara knows, first hand, the importance of injury recovery, prevention and maintenance treatment. Jenna graduated with honours in May 2016 from D’Arcy Lane Institute of Massage Therapy in London. She is registered and in good standing with the College of Massage Therapists of Ontario. Prior to attending school for massage therapy, Jenna attended Laurentian University, where she achieved her Bachelor of Arts degree. She has 5 years experience working as a Chiropractic Health Assistant and has received regular chiropractic and massage therapy care since she was young. Jenna knows how important it is to keep your body in good health and she believes massage therapy is a key factor in maintaining healthy muscle tissue. 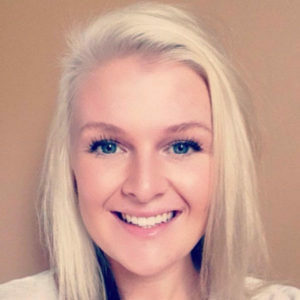 Since starting her practice in 2016, Jenna has expanded her knowledge and skills; along with deep tissue and relaxation massage, she also offers Cupping Therapy and Indie Head Massage. Whether you are looking for pain relief, to reduce muscle tension, or simply some time to unwind and relax, Jenna feels that massage therapy can benefit everyone. Jenna lives an active lifestyle, and when not working with her clients, she enjoys spending time with her friends, family and dog. Jenna is excited to be joining the New Sudbury Chiropractic team and looks forward to working with you soon!